Click here to learn more about the County's new Smoke-Free Ordinance. The goals of Ventura County Public Health’s Tobacco Education and Prevention programs are simple – to decrease tobacco use and reduce tobacco-related illnesses and death. Tobacco use remains the single largest preventable cause of disease and premature death in the U.S. and yet more than 45 million Americans still smoke cigarettes. 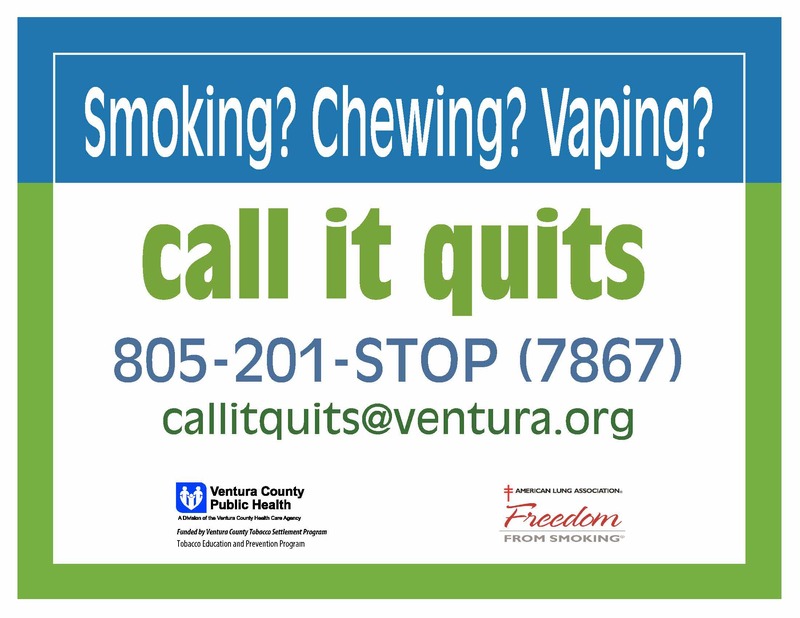 VCPH offers FREE "Call It Quits" stop smoking classes! Ventura County Public Health's "Bus of Tobacco Horrors" is a one-of-a-kind mobile hands-on educational exhibit that graphically teaches 6th grade students about the impacts of tobacco use and secondhand smoke. 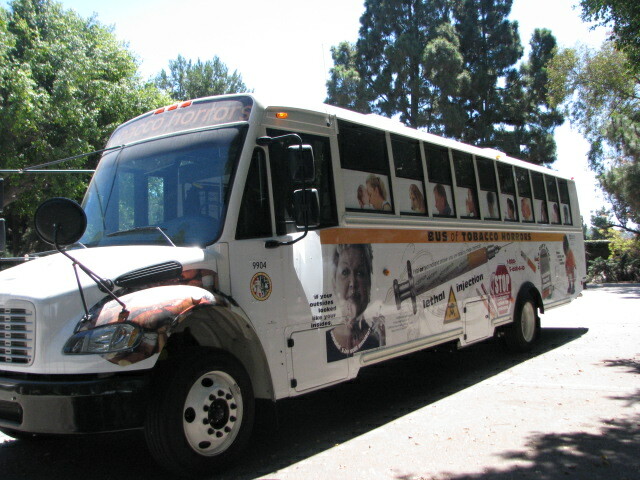 Developed in response to Phillip Morris's fleet of vans which offered tee shirts, caps and coupons for packs of free cigarettes, the "Bus" was designed to empower Ventura County youth with the knowledge needed to make wise decisions about tobacco use. 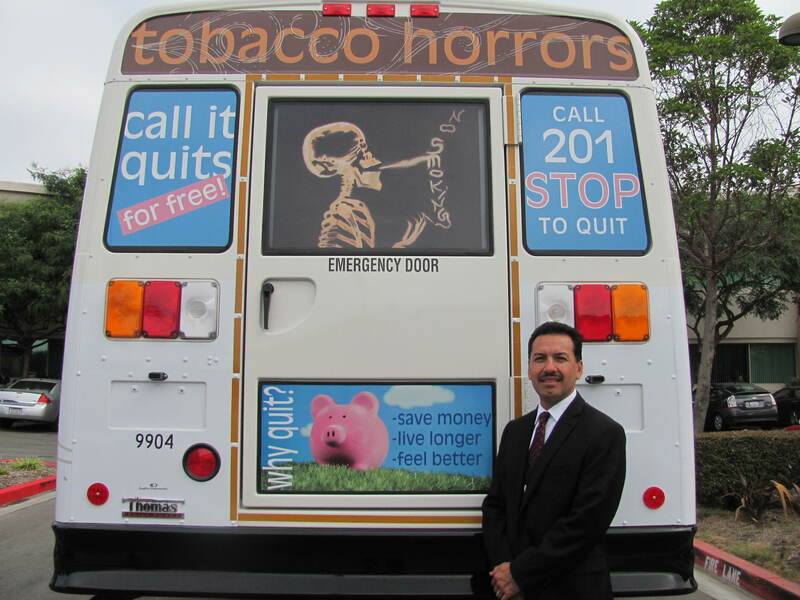 Since the program began in 1996, approximately 4,000 - 7,500 Ventura County students each year have experienced the "Bus of Tobacco Horrors" program. When touring the bus, trained peers educate their classmates about: the physical dangers of tobacco use, how the tobacco industry targets women and girls, the effects of secondhand smoke and the influence and increase of smoking in the movies. Surveys of the peer educators show a 20% increase in knowledge of how people are being targeted to use tobacco and a 50% increase in awareness of the amount of smoking in the movies.